People sing the same song everywhere I'm going. Closer to the sun and far from the moon, people screaming out they gonna see me real soon. While it’s a rare commodity for a band to tour as consistently as Slightly Stoopid, the group’s diligent commitment to live music provides some insight into why it's been a few years since the release of their last studio album. But on August 14, 2012, the Ocean Beach, California-based group—led by co-founders and multi-instrumentalists Miles Doughty and Kyle McDonald—dropped their latest studio effort, Top of the World. As heard throughout the disc, the layoff between albums has not affected the group's penchant for cooking up the tasty fusion and massive groove that permeates Stoopid’s trademark sound. "We're a touring act, and we've been on the road pretty much non-stop over the last decade," explains Doughty. "It really came into play on the release of the new record. Our last studio record [Slightly Not Stoned Enough to Eat Breakfast Yet Stoopid] was about three and a half years ago. But with the band, we were starting families, we'd been on the road so much, we really didn't have time to sit down and focus on actually recording it." Doughty also admits that the creation of the band's own recording studio and rehearsal clubhouse, within the warehouse district of Mission Valley (just inland of Ocean Beach), certainly aided the creation of Top of the World. "In the past two years, we started our own studio, which really enabled us to make the record at our own pace, and to make the right record for us at this time in our career,” Doughty continues. “What's nice about it is having our own environment to record in and analyze the music, and it really lets you keep an organic feel. For us, I feel like it's a step into the next level, as far as understanding the process of recording, understanding the process of songwriting. We took everything that we've learned over the years and really put it into this record.” Another key ingredient to what makes Top of the World so special is the inclusion of several musical guests. "It really kept that 'family atmosphere' for us,” says Doughty. “I think it really shows in the music—it flows. It's like one of those records that feels like it's one giant song. It keeps building and building. For us, we couldn't be happier. Top of the World speaks volumes as to where the band is today; just lyrically and musically, we're really happy with the direction." "We had G. Love, Angelo Moore from Fishbone, Don Carlos, Barrington Levy, Ian Neville from Dumpstaphunk, Tory Ruffin from Morris Day and the Time and Fishbone, and singer/songwriter Angela Hunte. We've been friends with G. Love for over 15 years, and we've been able to work together quite a few different times in the studio. It seems like second nature. Whenever you're recording with G., it's almost like you're really just hanging out with your bro, and you happen to hit record. We've done so many shows together and so many studio sessions, it becomes second nature. Angelo Moore to me is one of the greatest frontmen to ever step foot on a stage. As a fan and out of respect, I try to do something with Angelo every time we have a record, really. If you listen to his lyrics, his vocal performance—I don't know who could keep up with Angelo on stage. Don Carlos from Black Uhuru is one of the legendary reggae singers of all time, and we've had the pleasure of working with him the last few years." Riffing on some of the album’s highlights, Doughty says "I really love 'Hiphoppablues,' the song G. Love did. I love the song 'Way You Move,' Ian Neville did a great guitar line throughout the whole song. We worked with Barrington Levy on 'Ur Love,’ he is a true architect of the dance hall! Definitely 'Ska Diddy' with Angelo—it’s a fun rant and shout out to a lot of the nooks and crannies we play across the country.” Besides recording at their own studio, Slightly Stoopid has always been extremely hands on when it comes to their career, going back more than a decade to when they founded their own record label, Stoopid Records. "We started Stoopid Records around 2000,” Doughty clarifies. “At that time, we were in transition as far as what we were doing with our records, and we thought it would be good to have our own independent label—like Sublime showed us back in the day with Skunk Records. What's nice is we've had a following with the fans, where people understand that Stoopid Records is Slightly Stoopid and other bands we want to help break out." "For us, it was a big turning point, as far as having complete creative control over everything we do. That's something big for this band—we want to make the music for ourselves and for our fans. We don't really make music for someone in an office that tells us something needs to be there. We've always had a very organic, do-it-yourself attitude. I think it's paid off in dividends." In addition to the arrival of Top of the World, Slightly Stoopid should be very busy for the rest of 2012. "This summer, we're doing The Unity Tour with 311. That was really cool—those guys approached us about doing a tour with them. For the last five years, we've been headlining all the amphitheater tours, so it's kind of nice that we're going to co-headline with them. It's a good chance to not only play for our fans, but to play for 311 fans and show them the new direction of the new record. After the summer tour, we're going to do a fall tour and a winter tour, stay on the road as much as possible, promote the record, and keep making more music." 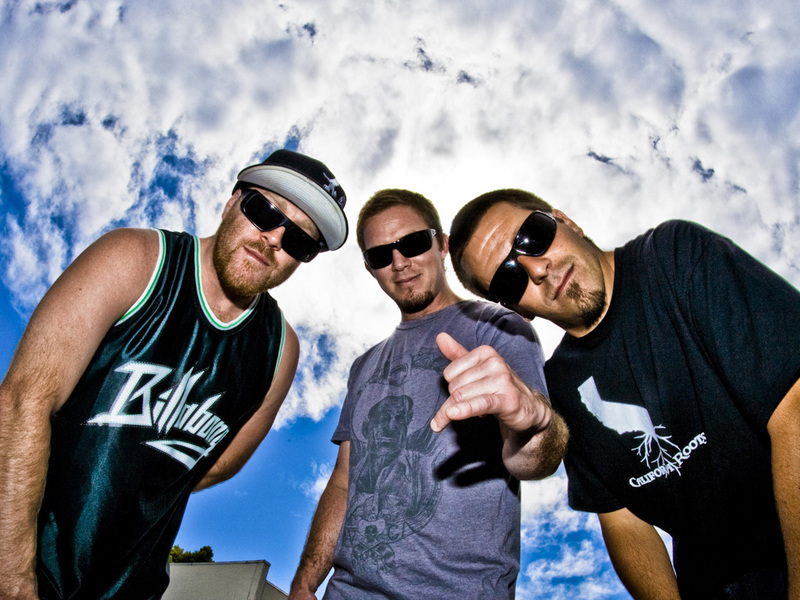 Slightly Stoopid’s current line-up, featured on the Unity Tour 2012, consists of Doughty (guitar, bass, vocals) and McDonald (guitar, bass, vocals), along with Ryan “Rymo” Moran (drums), Oguer “OG” Ocon (congas, percussion, harp, vocals), C-Money (trumpet), Dela (saxophone) and Paul Wolstencroft (keyboards). Additionally, “unofficial 8th member” Karl Denson of Greyboy Allstars also lent his talents throughout Top of the World, and is joining the band on tour this summer. Nearly two decades into their ongoing metamorphosis, Slightly Stoopid continues to progress into new musical territory, defining their signature sound even further and creating a contagious feel-good vibe. An entire subculture has grown around the social statements the band makes with their music—and it’s been done entirely on their own terms. No wonder they feel like they're on Top of the World.